January of 2019 is already in the last few days. All the activities at Fattoria di Montemaggio in Radda in Chianti are already in full force. Soon it is time to get prepared for the preview of the vintages released this year. However, the vines are still asleep and resting. Composting is something you can do all year round though. Fattoria di Montemaggio has just started composting and is very excited about it. In this article, we will look closer at the processes and benefits of composting. Let us start by looking further into organic farming. Fattoria di Montemaggio in Radda in Chianti is organically certified since 2009 and is lately also adopting certain biodynamic methods. Being an organic winery means that the grapes shall be cultivated in accordance with organic farming practices (see, Regulation (EU) 834/2007). It is not allowed to use synthetic or chemical fungicides, fertilizers, or pesticides to prevent diseases in the vineyard. Furthermore, there is a strict limit regarding the addition of sulfites in Europe (see Regulation (EU) No 203/2012). Instead of chemical products, it is possible to use organic fungicides (for example, sulfur and copper dust) as well as cultural practices (for example, canopy management) to prevent and control grapevine diseases (see “Fighting Disease Organically”, by Glenn T. McGourty in Wines&Vines). Organic farming can involve more than only plants and soil; it can include the raising of livestock and poultry as a part of traditional agriculture. Cattle and horses can be used for labor (to work in the fields), fertility (the reuse of manure), and fuel (food for farmers and animal feed). Nowadays, some Italian winemakers have indeed started to keep horses and geese for labor and fertilization in the vineyards. And now, the focus is also on composting. Composting is a way to convert “organic residues” to “humus-like material” with the help of the work of microorganisms. It is a process where the natural decay of organic material is accelerated in a space where microorganisms grow vigorously. 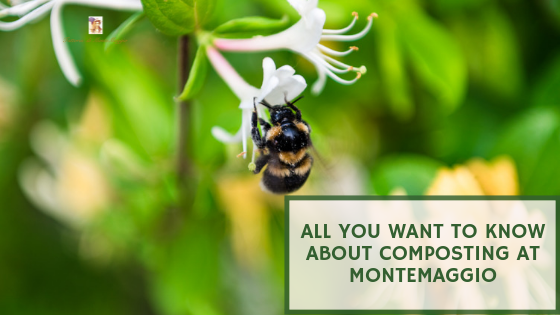 Composted material can then be used for mulching, soil enrichment, as a natural fertilizer, and much more. The hummus is very important, and the top layer of the soil should be made up of about 10% organic matter and be swarmed with hundreds if not thousands of bacteria and funguses to be healthy. The humus nowadays often contains less than 1% of the organic matter and microorganisms that it needs due to unsatisfactory soil management often combined with the use of chemical fertilizers. That is why it is important to focus on the hummus and the microorganisms to have thriving soil. Composting is essential to help contribute to healthy soil. It can, for example, help to increase microbial activity, improve soil fertility, soil structure, help to prevent or suppress plant diseases. 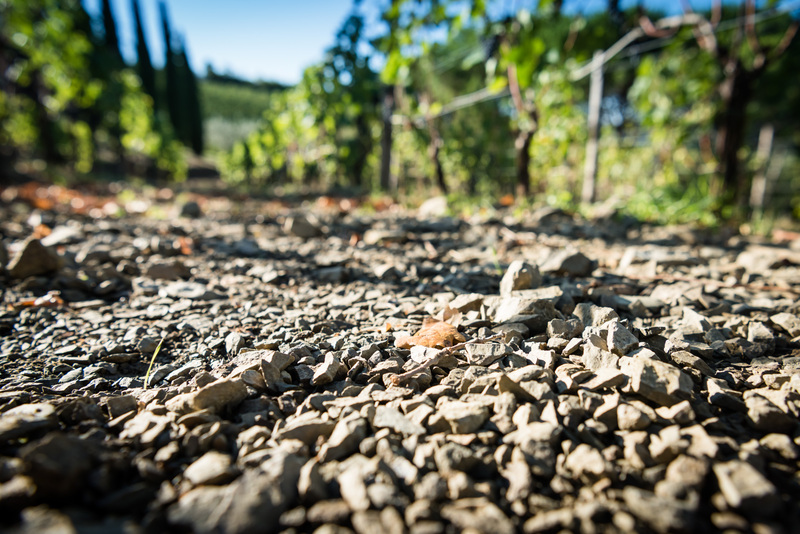 In fact, the organization Vin Natur has been doing research on this during the last years in order to better understand how to enrich the soil and prevent diseases in the vineyards. The aim of Fattoria di Montemaggio is to compost to enrich the soil and take another step in becoming self-sufficient. Valeria, the owner of Fattoria di Montemaggio in Radda in Chianti, has been very eager to take one step further in the conducting of organic and healthy farming by starting to compost. Ilaria, the estate manager, says that she “did not need to be convinced” but rather the contrary. Ilaria continues by saying that she always has considered composting to be a necessary phase for the estate to adopt closed-loop agriculture. In fact, it has been her dream since she studied agriculture at the university to work at a farm with a closed-loop system. Closed-loop agriculture is when all the nutrients and organic materials are recycled and returned to the soil it originally grew in. It is a farm that has no need to buy products but rather produce everything on their own and manage to take advantage of all its resources. It has access to different plants, fruits, crops, vegetables, as well as animals. A closed loop is a way of creating a unique ecosystem where there is no use for external inputs. This is important for achieving sustainability. It is a way to return to past farming methods with the help of innovative techniques thus embracing modernity. Fattoria di Montemaggio is only at the beginning of this process as they are starting with composting now and thus has a long way to go to achieve closed-loop agriculture. Ilaria further says that a closed-loop system requires a much more elaborate estate structure but that she strongly believes in its possibilities. For the moment, Said, who is part of the staff, has constructed three composters that will slowly be filled with green and organic matter, kitchen waste (with the exclusion of meat, fish, and cheese), air, water, and light. Then it is time to wait about 3-6 months for the decaying process to get started and the microorganisms to get to work. It is indeed important that the temperature inside the composters is high, moist, filled with nutrients, and has access to a lot of oxygen. Everyone at Fattoria di Montemaggio is very excited about embarking on this new experience. Of course, it will take a lot of patience and trial and error to develop a process that fits the needs. To follow the development and get the latest news, sign up to our newsletter!